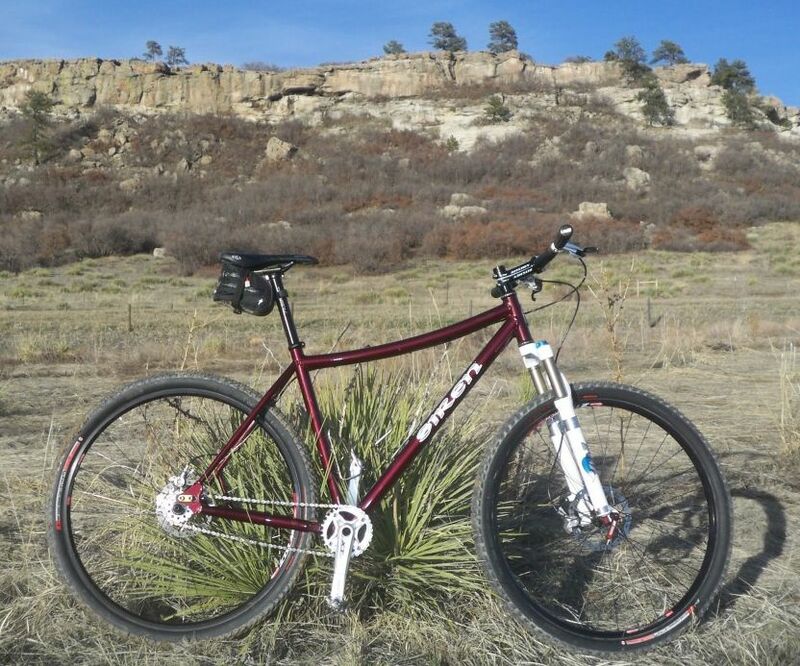 Jerry in Colorado needed a stiff, responsive singlespeed. 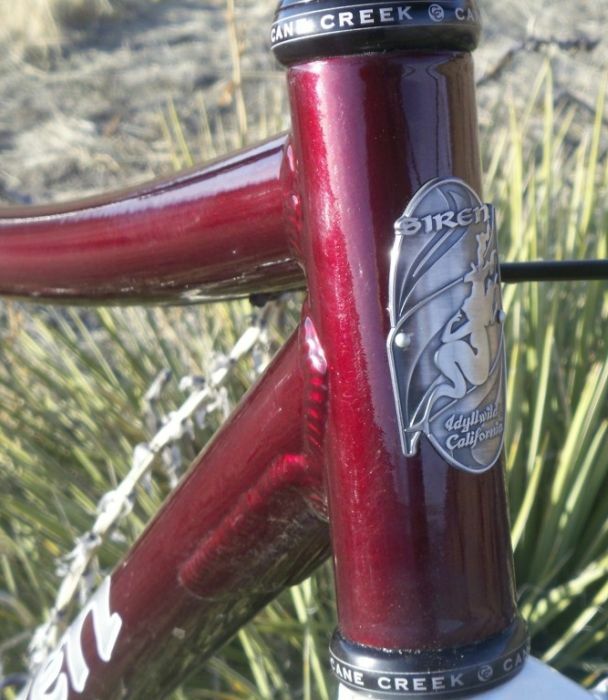 Add custom fit, custom geometry, and a hotrod powdercoat job. Jerry’s a big guy; I got the impression he could put some power down to the pedals so we built his bike with a few extra considerations. 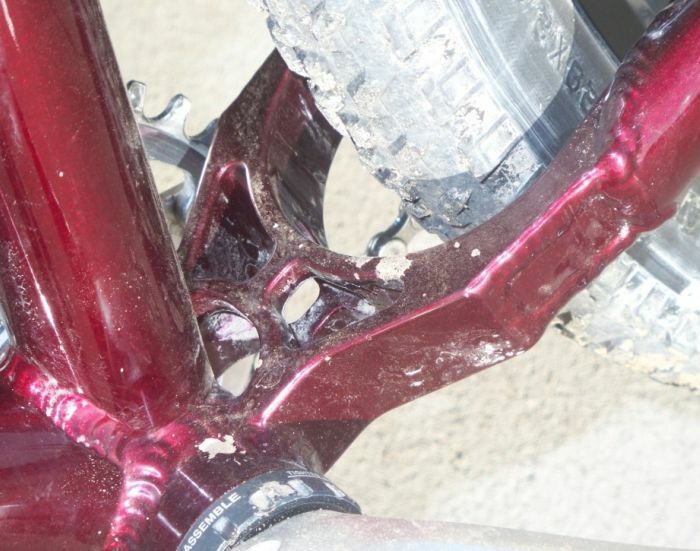 Among them, a 34.9mm seat tube (31.6mm post) for added durability, and we boxed in the Easton yoke for added stiffness around the bottom bracket area. Jerry dressed the bike for success, including my new favorite headset, from the good folks in Fletcher, North Carolina. And, the proof is in the puddin’, right?! 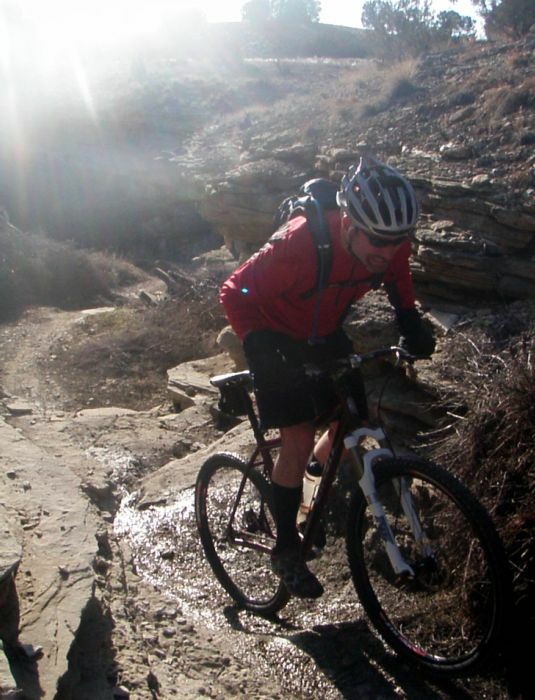 Jerry managed to get dirty (it’s still early season in Colorado) and so far he reports of good fit and trail responsiveness.